http://www.unitedcinemas.jp/kishiwada/, Urawa, Kishiwada and Fukuoka, as a place for new experience of movies. IMAX Digital Theater System was developed by IMAX Corporation, with its features of high-definition images and surround systems using IMAX DMR® Technology. IMAX Digital Theater System is used over 450 screens over 45 countries around the world. The screen spreads from the ceiling to the floor and from wall to wall, and it creates a sense of actually being in the movie. 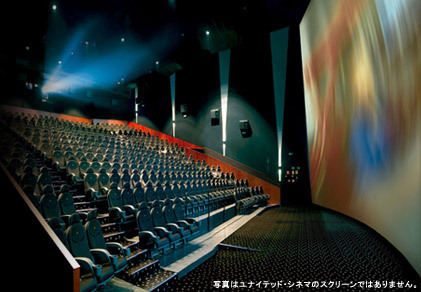 In addition to the traditional 2D movies, a number of 3D films such as Tron Legacy will be shown at this theater.